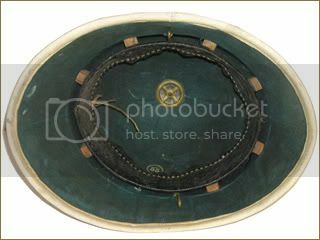 Based on the cavalry pattern helmets of the Second Empire, this Third Republic Dragoon helmet for enlisted men is of the 1872/1874 model. 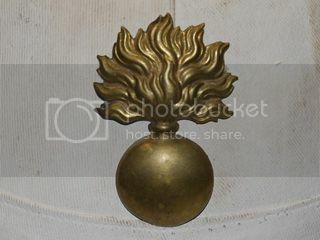 This pattern is similar to those used by the French Cuirassier, and would remain in use until the First World War. 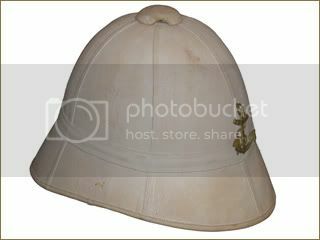 The Model 1878 features a clearly pronounced visor and the nape sheild. 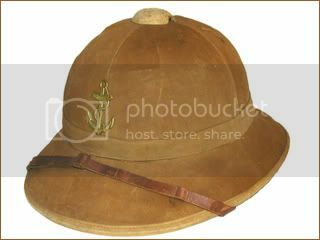 This pith helmet features the insignia of the French Marine Infantry, and were used throughout the French Empire in Africa and Indochina. 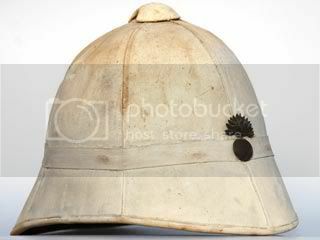 The model 1886 helmet, known as the "Sugar Loaf" helmet and derived from the 1878 pattern. 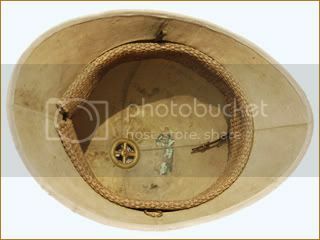 The proile of the helmet reveals the almost inexistent visor that is typical of this pattern. 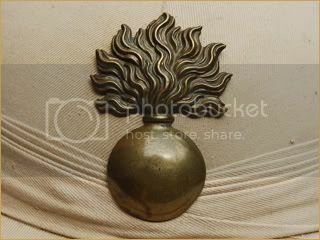 This features the flaming bomb in dark brass for the Grendarmerie. 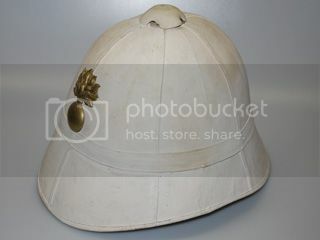 This model 1886 sun helmet features the insignia of the French Marine Infantry. 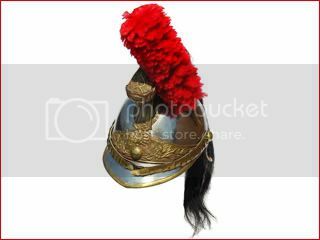 These helmets were used in various French colonies around the world including Africa. 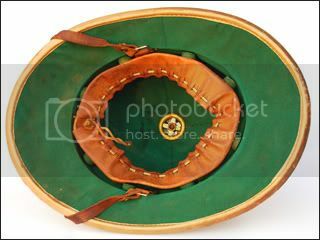 These helmets were used by the three battalions of the 9th and 11th Marine Infantry that fought in China during the Boxer Rebellion. 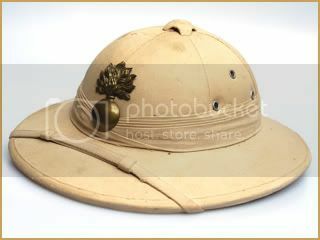 This model 1886 sun helmet features the large brass flaming bomb insignia of the French Foreign Legion. 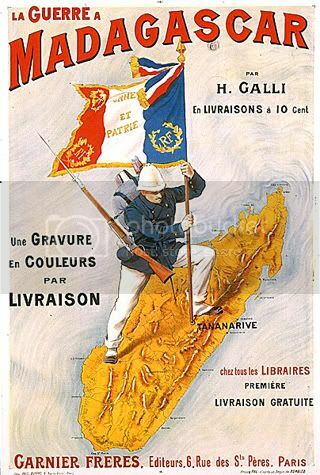 An 1895 dated poster, based on the cover of the book La Guerre A Madagascar, depicting the French invasion of Madagascar (From the collection of Le musée de l'Armée ). 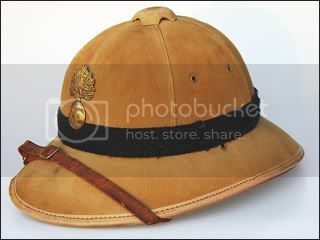 Based on the British Wolseley design, the Model 1931 tropical helmet was used throughout the French colonies, including those in Africa, the Middle East, South America, the Pacific and French Indo-China. These helmets were used by both Vichy and Free French Forces in World War II. 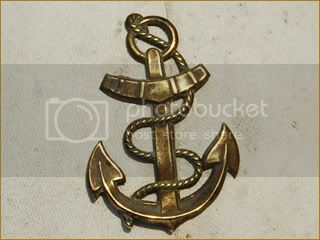 This examples features the standard marine anchor. 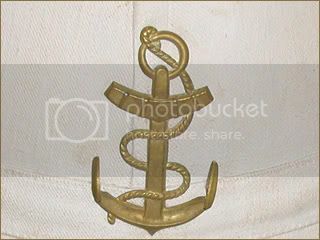 A variation of the Model 1931, this examples features the dark blue headband indicating an auxilary Gendarmerie. These troops saw service in Algeria during World War II. 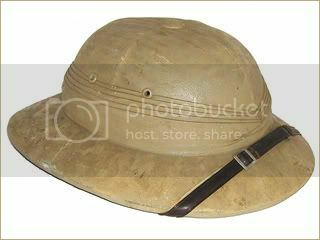 This example is the later post-WWII updated Model 1931 tropical helmet. 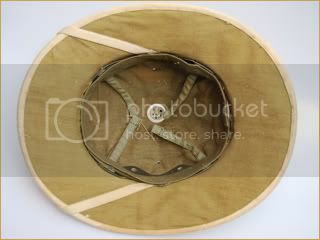 The same basic shape was retained, with the addition of three ventilation holes on each side. 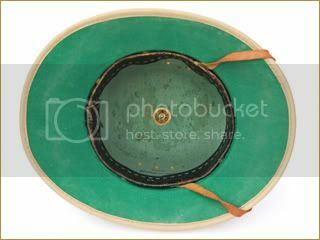 This example bears the inscription "Chapeau de Paris," and is dated 1952. This variation of the Model 1931 features three ventilation holes in a diamond pattern, and it also featues the insignia of the Gendarmerie. 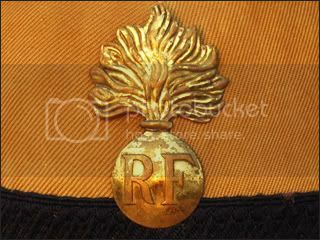 This pattern can be seen as a later transition from the typical Model 1931 to the later pattern used by the forces of Vietnam. It has plastic liner support with the same simple four-tongue liner support. 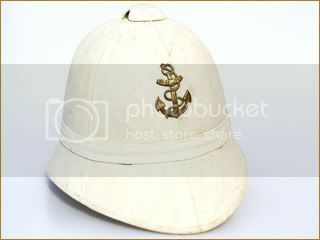 This helmet was likely produced in French Indochina in the early 1950s. 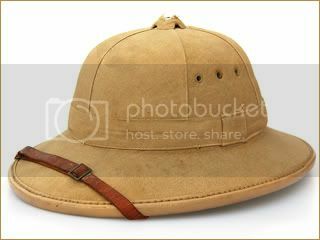 This style of helmet was based on the French Model 1931 tropical helmet, but is made of a lightweight pressed fiber with a water-proof canvas cover. 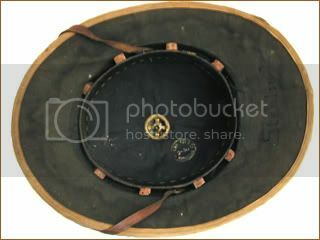 These were locally produced helmet in French Indochina, and used as private purchase officer's helmets. 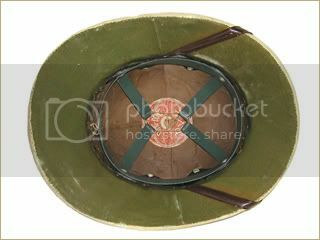 These feature a plastic liner system, which would be later used with the North Vietnamese Army sun helmets. 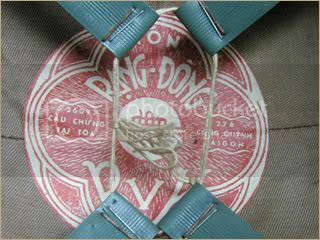 This example was made in Saigon, and has a maker's tag from Nón Rang Dong, BVK. 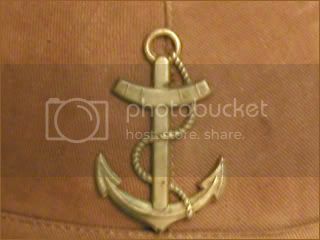 The original owner's initials(?) is written in pen: "VAN 3-6-54."